I didn't need my arm twisted! winnings from a recent Cup sweep! to keep us moving forward! which seems kind of important today. Thank you Elizabeth for suggesting this fun project! These look stunning. Congrats to. on your sweepstake win - I remember winning a couple of those a long time ago. I never had any real life sewing friends either, until I med some kiwi girls I followed on Flickr. The internet/IG is great for bring us all together. Your applique looks pretty good to me :) I have the Chuck Nohara book too but I'm resisting starting anything from it for the present. I'm another that didn't have any real life sewing friends until I met someone on Flickr who happened to live in Adelaide as well, we clicked straight away and meet up a couple of times a month to sit and sew. 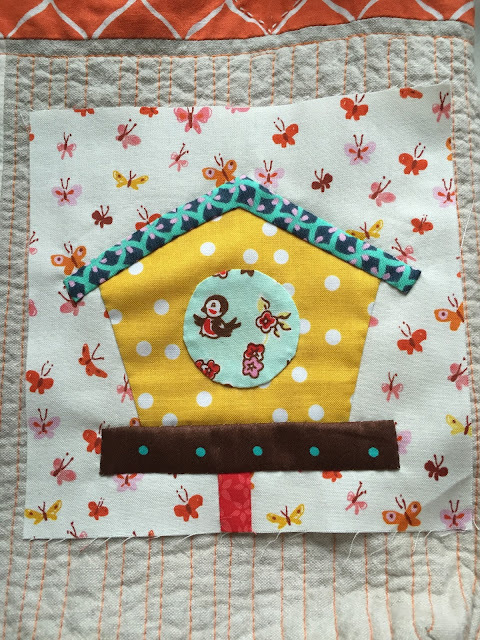 what a fun and whimsical quilt project - have fun! Looks like a great project! And lovely to have company while working your way through the cute blocks! 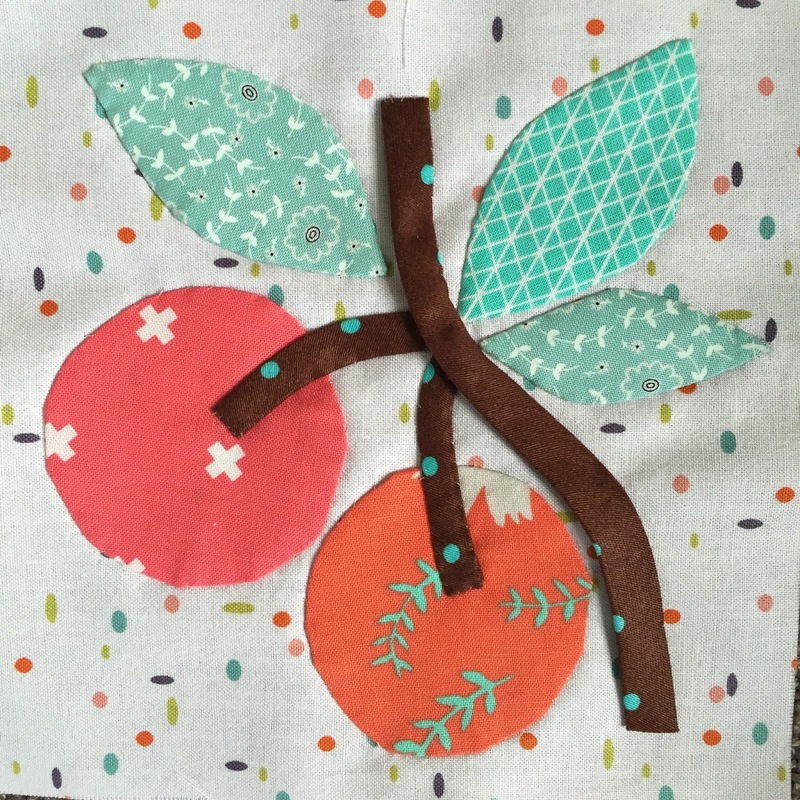 And yes, your applique looks very good, I'm having trouble making little leaves! I am trying to find my next fun project. Too many lovely choices and ideas are competing for attention, so nothing is getting started. But this indecision is helping me finish a few WIPs. Lovely. I can watch your collection grow in your posts. Have fun! Hello Susan! This is Amy :) thanks for leaving cool comments on my blogpost! I'm so happy to hop on over to your blog to discover your wonderful makes! Your bird house block is the sweetest I've ever seen! I own a couple of Chuck Nohara books myself, all in Japanese, and I adore them, too. Happy stitching and thanks so much for inspiring us! 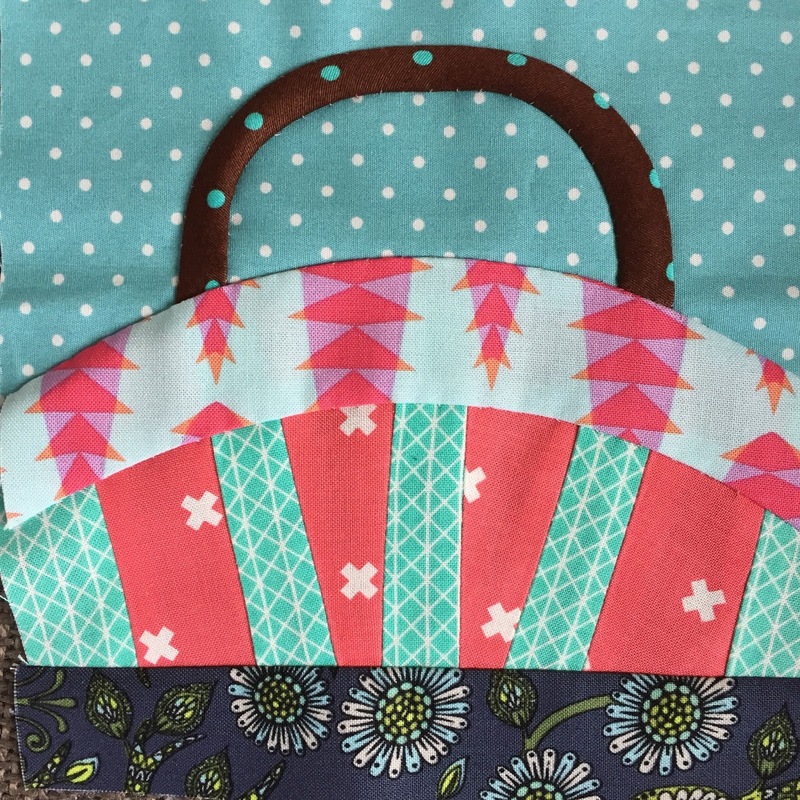 Your applique is lovely and the blocks look wonderful in the fabrics you're choosing. You're off to a great start with these wonderful blocks. It would be so hard to choose which blocks to make from all the amazing ones in the book. They are truly sweet! And they must be fun to make! I think it's so cool that I know you online and I know Elisabeth in real life. It makes me think we can all meet someday. 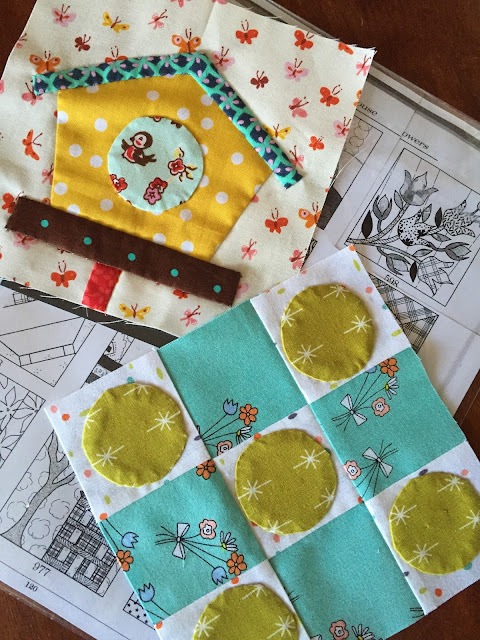 Those are some mighty sweet blocks and such a fun assortment of fabrics in each. Enjoy the process. Those blocks are beautiful! Your appliqué stitching looks fabulous to me. How fun that you and Elizabeth have this project together! So much fun sewing with friends! Sweet blocks! It's always more fun to quilt with friends, either in person or long distance. Hi Susan, I've been playing get to know you by reading several month's worth of your blog in prep for next year. Wanted to comment on many posts, but figured my comments were a little out of date. 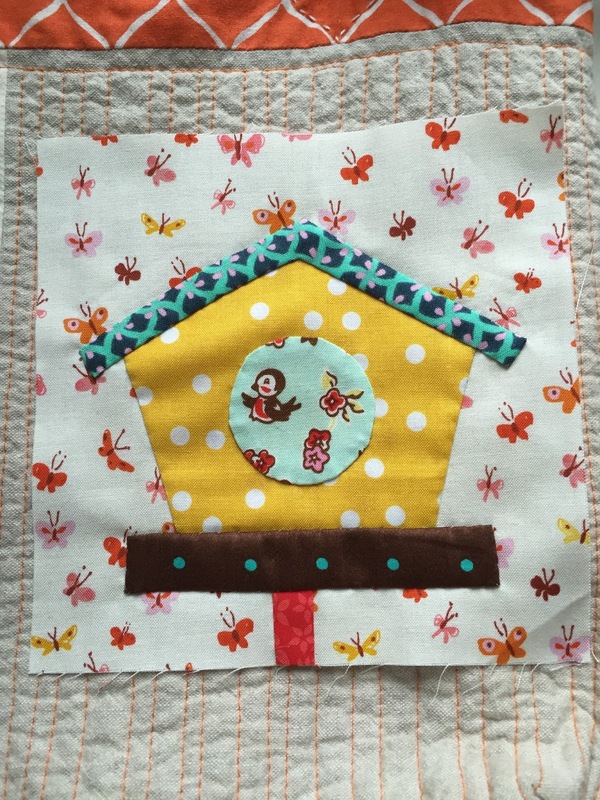 I too am tempted by the Chuch Nohara blocks (and by EE's example) and was lucky to find the book in the U.S. right after Quiltmania opened their U.S. website. Love your Little Town quilt -- I finally found the mag in French and the ladies were kind enough to send me all of the English translations. Not until after Christmas, though . . . .
Fun to see this Chuck Nohara post--I can see I'm going to have to run to keep up with you! I saw your round-up on another post, and you've finished more than I. Luckily I get to stay home for a while, so maybe I can make some more to equal yours (it's fun looking through that book, isn't it? ).